The world has always been a volatile place, and now is no different. Collected here are books to help you become and stay informed on the conflicts going on in the world today. Dirty Wars: The World is a Battlefield, by Jeremy Scahill – Discusses the covert wars currently being waged by the US military. Here’s an interview with the author about the book and the documentary with the same name. 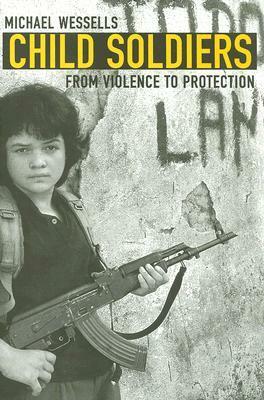 Child Soldiers: From Violence to Protection, by Michael G. Wessels – There are nearly 300,000 so-called “child soldiers” around the world today. Read about their lives, from how they got there to what life is like after. Descent into Chaos: The United States & the Failure of Nation Building in Pakistan, Afghanistan & Central Asia, by Ahmed Rashid – Published in 2008, Rashid lays out the military and political landscapes in Central Asia. A great book to help understand the region just before the Obama administration entered office. Rock the Casbah: Rage and Rebellion across the Islamic World, by Robin Wright – A veteran reporter chronicles the struggle between moderates and extremists taking place within the Islamic world, citing clerics who challenge al Qaeda violence, women who are launching liberation movements, and former jihadists who openly reject violence. Obama’s Wars, by Bob Woodward – Focusing primarily on Afghanistan, Woodward guides us through the decision making process and behind the scenes conversations of the Obama administration. Imperial Grunts: the American Military on the Ground, by Robert Kaplan – Instead of looking at the bigger picture, Kaplan explores what life is like for American infantry in combat. Not all is dark and gloomy, though. These two books look at what people are doing to stop wars and bring about lasting peace and change.